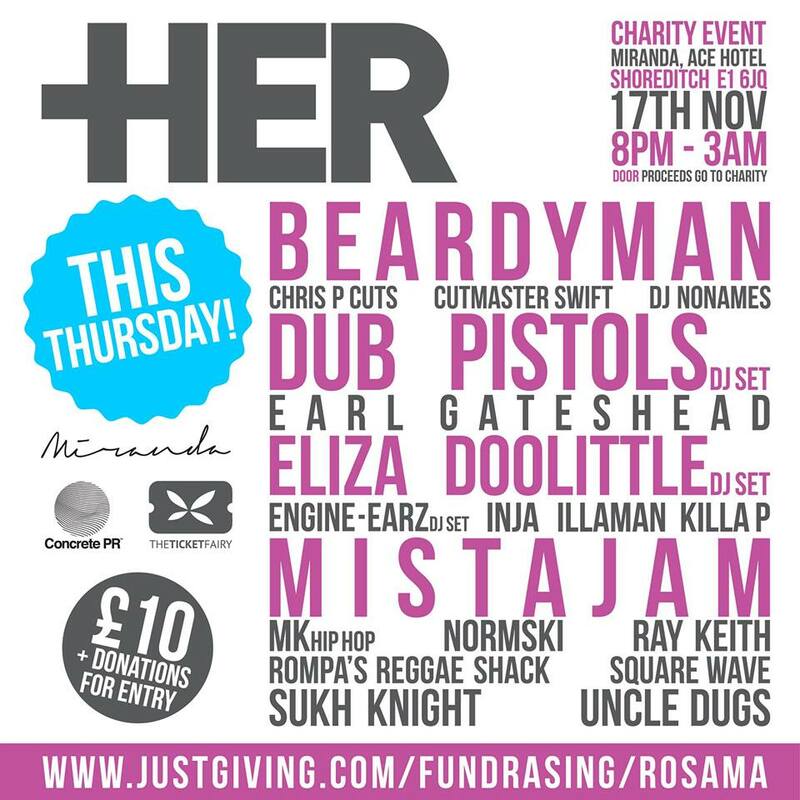 Cancer research charity HER is hosting a wicked party tonight to raise funds — and the line-up is pretty special. Beardyman is up on headliner duties, with Dub Pistols and Eliza Doolittle set to spin alongside. Radio 1's Mistajam is on the bill too, plus local legend Normski, Ray Keith, Earl Gateshead and many more. It's all kicking off at the Ace Hotel tonight from 8pm - 3am and it's for a good cause: the focus is on raising funds and awareness for breakthrough cancer treatment that could prolong and save lives. You can also donate here if you can't make it to the event — please give generously.